So…Clan Games. Lots of fun getting free, in-game items and resources for doing things you would otherwise normally do while playing! The thing about Clan Games, though, is that sometimes it takes a while to get through the challenges and it seems like a lot of times, the challenges you WANT are not the ones that are available. It never fails - when I want to go out raiding for Gold, there are no tasks for gathering up X amount of Gold, or if I’m running my daily attacks on the Builder Base there’s just Home Village tasks. First and foremost, let’s get this out of the way right off the bat - the fastest, easiest, and most efficient way to knock out Clan Games challenges is with lower level games. TownHall 6 absolutely rocks it on the Home Village. Tasks with no heroes? No problem - ain’t got one anyway! Three star wins? In a snap, especially if you can find a base at a lower TH level. No potions…easy peasy! For smaller clans and those who want to really help your clan knock out the highest possible tier, I recommend playing with multiple accounts. Setting up a mini or alt is super easy now that we have the SCID and you can run literally up to 20 accounts on a single device. That opens a huge opportunity for using low level accounts to knock out the max points fast. Clan Games unlock at TH6 and with the new upgrade times, easy accessibility to resources, and books/potions, you can have a TH6 up and running in under a week. 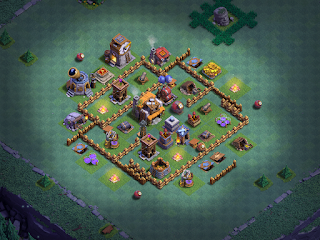 Even better - the Builder Base unlocks at TH4 and that REALLY works well for Clan Games. If you have more than one device available, you can also really streamline your playing time by running multiple games at one time. My family rolls their eyes when I do my Clan Games run because I have 4 or 5 tablets surrounding me, each with a different game and attacks running on them all. BUT - I can put up 50K in a single day of playing, all by myself. I find it both fun and a great way to challenge my ability to concentrate and multitask. The best example of using an alt for Clan Games, though, would have to be on the Builder Base - the challenges are incredibly easy for a new Builder Base instance to complete. Create your new game and get it up to TH6 (only need TH4 for the Builder Base, but TH6 is needed for Clan Games). At this point, you only want to do the absolute minimum on the Builder Base - grab and upgrade the Army Camp, then upgrade the lab and the Raged Barbarians, and nothing else. Don’t buy additional defenses, resource buildings, walls…you just want the basic, BH2 game and nothing more. Now, use this game to grab percentage and star tasks for the Builder Base - almost every attack will be 3 stars with 100% and the army build time is next to nothing. You can knock out a 24 star challenge in 10 minutes and the same goes for tasks requiring a high percentage. NOTHING gets big points faster. Speaking of the Builder Base…. The absolute best challenges for the Builder Base are the ones that require a certain percentage or X number of stars to complete. The ones that require you to complete X number of wins on the Builder Base…those you’ll want to avoid for the main part. The time to complete them is short and they’re easy to miss, which means a lot of lost time. Those are great on the Home Village but for the Builder Base…no thanks. The next best challenges for the Builder Base are the ones where you destroy a certain number of a particular building whether it’s the Builder Hall itself or something on the base like the Roaster, FireCrackers, and so forth (level dependent, of course). And, of course, any challenges that match with your working army are usually pretty easy to knock out as well, but watch the timer - if it’s short, you may struggle. I really like the ones that need only 4 Raged Barbarians (they work great with a BH2!). But, Noc…what about the Home Village? As anyone who plays the game knows, Clan Games were really designed for the Home Village and this is where you can really knock things down fast. I always skip the little challenges for 35, 50, 80 points…the payoff is just not worth the time investment when I’m looking to get 4000 or 5000 points. That said, I also save up some obstacles so I can grab the obstacle clearing challenge - it may be only 50 points but it takes about 30 seconds to complete, so it’s well worth it. It’s best to keep your eyes open throughout the day for those higher point challenges though - simply checking the game periodically will allow you to grab one that runs 8+ hours and yields the most points, then you can finish it later in the day. This is particularly important when SuperCell is running a special events Clan Games where they might have tasks that offer 1600 points in a single challenge! The most efficient way to hit Clan Games on the Home Village is to drop trophies so you see easier bases to attack. This works for almost all of the Home Village challenges. It’s easy to move up and down the trophy ladder so most players do not worry about the lost trophies; in fact, right before Clan Games (or on the first day) you may suddenly gain a bunch of trophies with 0 loss attacks as players dump trophies. My hands down favorite tasks on the Home Village are the ones where I can quickly snipe something and go back for more. The only challenge that is faster is the obstacle removal challenge but it does not offer nearly as many points. There are lots of things you can snipe - heroes, spell factories, labs…even the TownHall itself! The beauty of these challenges is that you do not have to wait for an army to rebuild - you can often knock these out with your heroes in just a few minutes’ time. Probably the quickest after that would have to be the “Loot at least X resource” tasks. These are great because you can simply use Goblins - the fastest and least expensive troop in the game. To get a little deeper into an opponent’s base, take some jump spells but usually, you can just hit collectors. Both loot gathering and sniping challenges are fantastic challenges to run as you drop trophies. The lower you get, the more quickly you will be able to complete these tasks. Down in the Silver leagues, there are many bases that have their TH on the outside of the walls still - that’s good for TH and star tasks both. On my higher level games, I like running donation challenges as I fill Clan Castles for war attacks and raiding. Who doesn’t want CC troops when they go out on the hunt? Last but not least, there’s the strategic trashing of tasks that just don’t make sense. Two in particular stand out here - the Clan War challenge when there’s no war on, and Titan or Legends challenges when no one is in Titan or Legends Leagues. My clan also trashes any low point challenges - as I mentioned, the points are just way too low to merit the effort. If your clan has mostly lower TH players, it may make sense to trash challenges that go after the Eagle Artillery or Inferno Towers, use Siege Machines, or even Builder Base tasks that use troops like the Super PEKKA (which a lot of folks haven't even unlocked yet). These are all things I do every time I play Clan Games and my clans ALWAYS reach the top tier, no matter how many points are needed. Hopefully, this will help you do the same! How to win at Clan Games - the short version…. BH2 - On a mini, create a BB game that you keep at BH2. Add the second Army Camp, upgrade the Star Lab, and max the RBs but do nothing more. Use this with star and percentage BB tasks for quick, easy points. Low-level HV - Clan Games is made for lower level games. TH6 is an easy place to rack up points fast and it only takes a few days to create a brand new TH6 game. 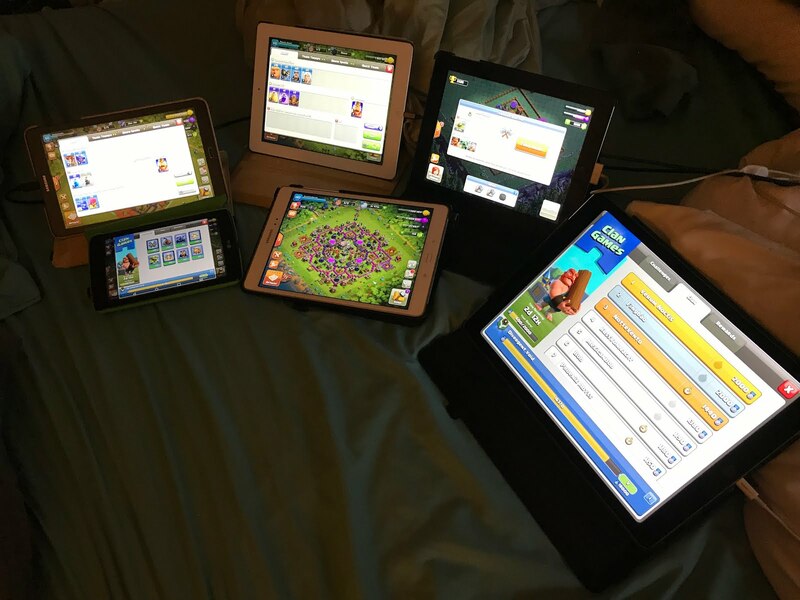 Multiple devices - Got all those multiple games? Run several tasks at one time to rack up points quick. Have multiple games - Most of the time, you can hit the top tier with 10-15 games. THs - in Silver, still lots of THs outside the base. Works for either stars or TH specific challenges. Farm with Goblins on your way down as you drop trophies - Dropping trophies for CGs is smart; farming gold and elixir with Goblins to complete loot tasks on the way down...that’s even smarter. Drop cups to Silver - There’s all kinds of reasons to drop cups but chief among them is the easier opponents and mass coin you will find in Silver. Percent and stars on the BB; wins on the HV - While you can run all three on the HV, generally speaking, you’ll want to skip the “Win X times on the BB” challenges unless you’re working on your 3X daily wins or there’s a special event; they just take too long to achieve. Save obstacles for the obstacle clearing challenge (you don't even need a Builder - clear grass on the Builder Base!). Skip the little stuff - grab the big ones! You're best off trashing the little challenges (other than obstacle clearing) because they just don't offer enough points for the effort. Too busy to play? Keep your eyes out throughout the day for the High Point challenges! Run donation challenges right when filling daily CCs. Loot challenges - Goblin army with Jump Spells if you have them.